Below is a collection of some of my favorite Spring 2015 round ups. You'll notice the blush, ice blue, and mint color themes going on. Everything here can be found online and at reasonable prices. 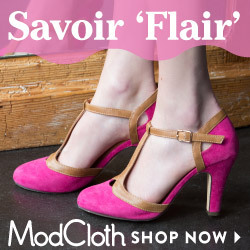 Of course, LC Lauren Conrad and Modcloth provide many of the choices, my go-to brands of choice. I hope this board provides a bit of inspiration and happiness thinking of the beautiful season ahead! Happy shopping.